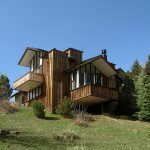 The Sampson House in Boulder. 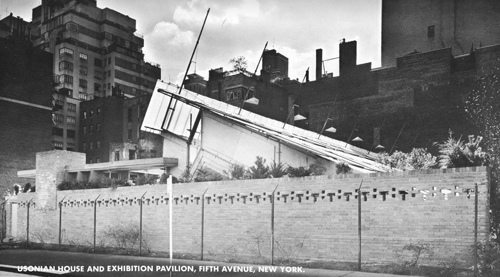 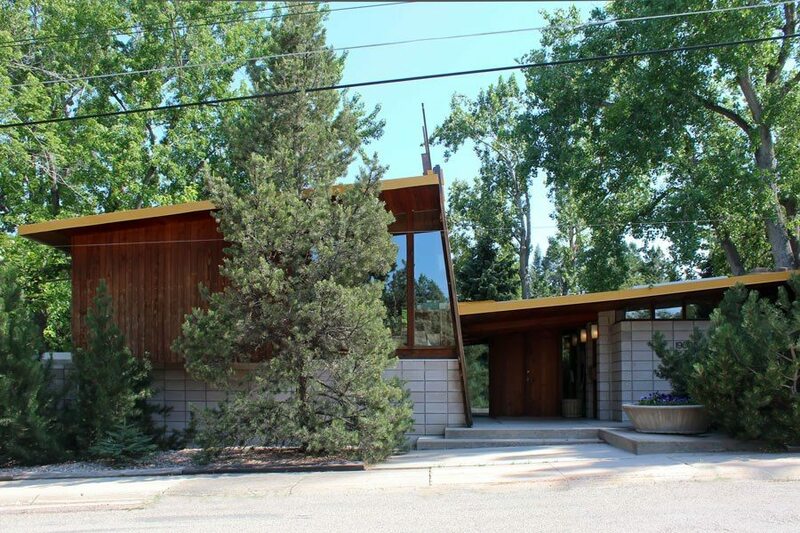 This Usonian-style home, designed in 1958 by Tician Papachristou, has a roofline influenced by Frank Lloyd Wright’s temporary 1953 Usonian Exhibition Pavilion. 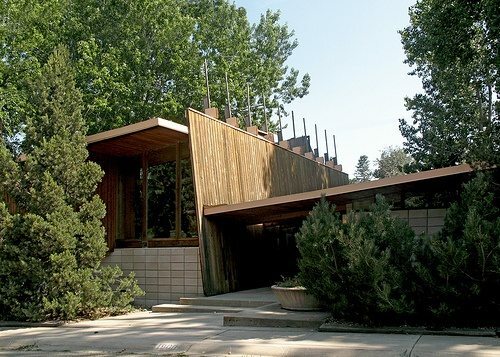 There are a still a few remaining Papachristou Usonians in Boulder, but in Denver we lost his beautiful Wallbank House about two years ago. 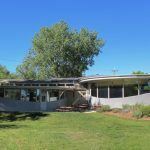 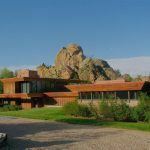 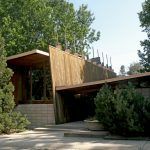 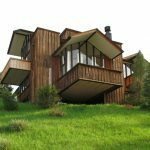 We are still fortunate to have one outstanding example of Papachristou’s work, the Koin House in Cherry Hills, which he designed in combination with another great Boulder architect, Charles Haertling.